Fried tater tots with Kogi Salsa Roja, grilled carne asada, fresh jalapenos, tomatoes, green onions, cilantro and drizzled with Salsa Roja. 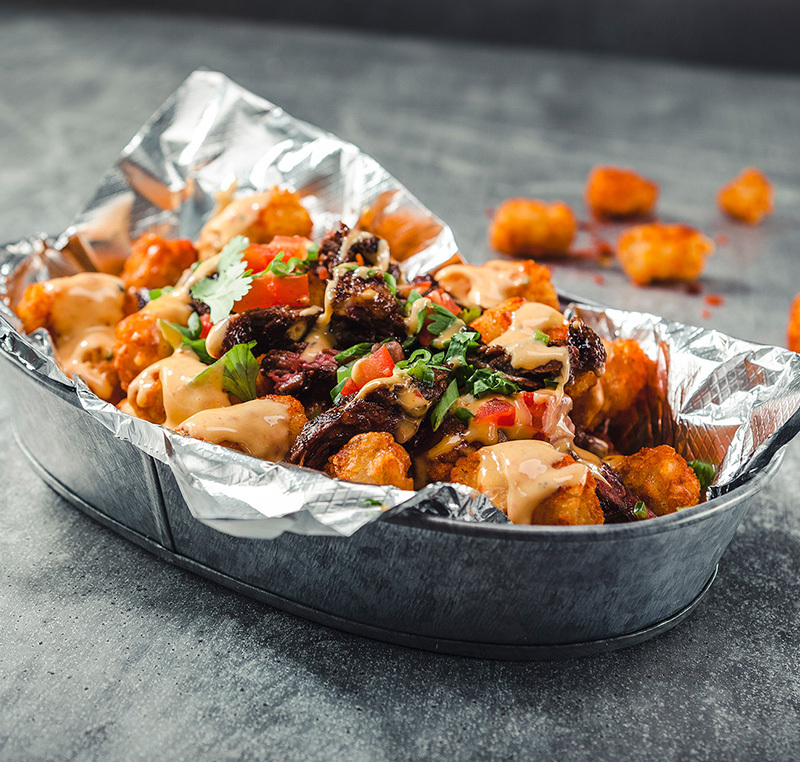 Place fried tater tots in a paper service tray, drizzle tots with queso roja evenly and top with grilled carne asada. Sprinkle over top of tots and carne asada jalapenos, tomato, green onions and cilantro, drizzle with Kogi Salsa Roja, and serve! Combine cheeses, fresh jalapeno and heavy cream in a small pot or double boiler over low heat until melted and combine. Add Kogi Salsa Roja and blend well, hold warm.